Guest post by Erin Steiner , a freelance writer and reputation expert from Portland, Oregon. You have enough experience with the Internet to know that you can’t always trust what someone posts about themselves on their own website. Everybody wants to present themselves in the best light possible. This urge to talk up one’s own fabulousness becomes even more intense on websites that want to sell you something. 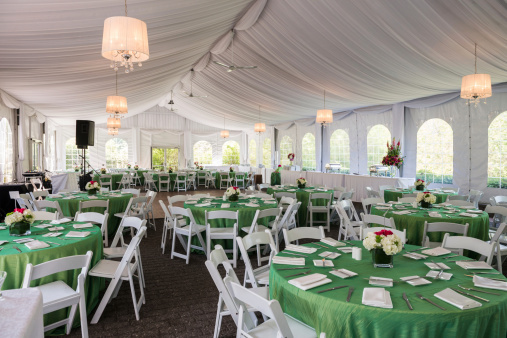 As you’ve started learning about putting together a marriage ceremony and reception, you’ve undoubtedly looked at dozens of vendor sites that promise you the “perfect” [insert service or product here]. Every vendor’s product or service is perfect and wonderful and exactly what you’re looking for. But just like you wouldn’t allow a doctor to examine you without meeting her first (at least for a few minutes of small talk! ), you shouldn’t hire a vendor for your wedding without doing your research. It is important to check out the reputations of every person and service you want to hire, from your photographer to your florist to your venue. Yes, you want to check out your venue’s reputation as well. Why Do I Need to Research the Venue? You probably already know that the photos of your venue have been treated to help the space look as fabulous as possible. That’s why you asked for a tour! Unfortunately, a lot of brides-to-be think that the tour is all they have to do. Why Do I Need to Do More Than Take a Tour? You know how, when your parents are on their way over for a visit, you run through your house, making it look as clean as possible, and then pretend that it always looks that nice and tidy? Wedding venues can do that, too. There’s a solid roof over that beautiful fabric, right? How Do I Check Out a Venue’s Reputation? Your first step will be to look for independent reviews of the venue online. You’ll probably be able to find at least a few on any site dedicated to marriage ceremonies and/or wedding receptions. Huge directory and advice sites like The Knot often have local searches and reviews you can read. You’ll also want to ask around locally. Ask others who have gotten married at the venue what kind of experiences they had. Remember: The venue is more than the physical environment it provides. 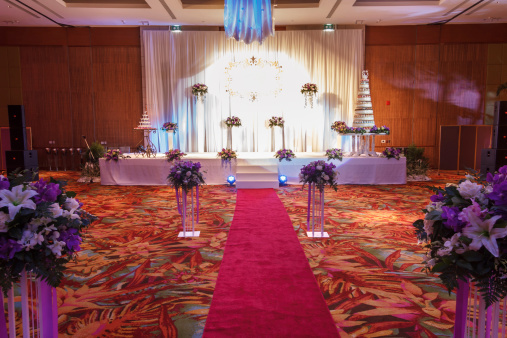 The venue has people who run it, and you want to make sure that you, your wedding party, and your guests will be treated well during your marriage ceremony and reception. Talk to an experienced officiant, like Alan Viau. Ask what he knows about that venue. Even a marriage officiant who is relatively unknown, like Ed Young, Jr., of Texas, has an insider’s knowledge about your local wedding vendors and venues. He (or she) will be able to keep you from walking into a trap. Ask if you can “crash” a wedding or two being held at your chosen venue before you make a final decision. You can stand in the back or sit in a corner – what you want is to see how the venue handles wedding parties, unexpected snafus, etc. Some wedding parties won’t mind your crashing – as long as you don’t expect to be fed or to take a seat that was intended for an invited guest. Have you been touring venues lately? Share your tips and tricks for separating the great from the “just okay” in the comments! Next How Many Diamonds in a Wedding Band Is Too Much?